Boiler manufacturer Vaillant has launched a multi-million pound multi-media marketing campaign to boost the profile of its award-winning ecoTEC range of high efficiency domestic boilers. The campaign, which is aimed at domestic customers, comes on the back of securing an influential Which? 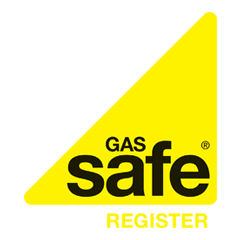 Best Buy gas boiler recommendation in the consumer champion’s annual boiler survey in September, an award Vaillant has ‘won’ three years on the trot. With no less than 18 Best Buy accreditations awarded to Vaillant by Which? magazine, it would seem Vaillant boilers are a popular choice amongst energy conscious consumers looking to cut their heating bills by fitting an energy-saving boiler. Vaillant’s ecoTEC boilers can save energy consumers up to 30% on their gas bills. As part of the initiative Vaillant will be using traditional media channels – direct marketing, national newspapers and radio – to market their award-winning product, alongside digital media marketing aided by a bespoke website. The campaign aims to boost demand for Vaillant’s heating products during the winter months. “This is a carefully crafted campaign that we think will resonate well with our target market, and the scale of the investment we’re making will ensure strong awareness throughout the peak heating season,” explained the company’s commercial director, Mark Derbyshire. “We know our customers are considered and analytical, demand the best but look beyond marketing hype for when making purchase decisions. The campaign message and creative is therefore intuitive, warm and reassuring, allowing the numbers that combine to make Vaillant the number one boiler brand in the UK to speak for themselves,” he added. The current range of ecoTEC boilers were introduced in March this year. Only boilers which achieve the highest marks for owner satisfaction and brand reliability can achieve a coveted Which? Best Buy award. Until 31st December 2012 Vaillant ecoTEC domestic boilers are offered to customers with a free 5 year guarantee.